This is powerful quote from scientist, political commentator and author Ayesha Siddiqi has inspired many, including two Arizonans who felt compelled to help children who have been abused and neglected. Here, they share their powerful stories. Whether, physically, emotionally or spiritually, communities are needed to show up for disaffected youth in a way that many might have found valuable in their childhood. When Siddiqi tweeted out this statement in 2013, it caught on like wildfire and various forms of the message were scattered across social media and the Internet as more and more individuals have supported the message of child advocacy. Voices for CASA Children along with CASA of Maricopa County works to carry this message forward with the work of tireless volunteers and staff, who support Court Appointed Special Advocate (CASA) volunteers. Below, two CASAs who have made the commitment to spend their spare time advocating for foster children reflect on their experiences. When CASA volunteer Karolina Donis sees the look on her foster child’s face, she can see the impact she’s making on her life. Throughout what is undoubtedly a difficult time for her appointed child, Donis is providing her with a much-needed outlet and source of comfort. As they get to know one another, they will form a bond that will help the child reach important milestones in her personal progress, as well as aid court proceedings with the information Donis is able to gather from their interactions. Donis and Falvey were both inspired to act and become CASA volunteers. Donis’ work as guardian ad litem for her foster youth and Falvey’s work as a CASA deepened their connection to their community and furthered the VOICES mission. They and the extended network of CASAs serve the needs of the over 9,000 children in Maricopa County to support and give them a voice. But there are so many more who are waiting to receive their advocate to provide them with a voice and an opportunity to see a brighter future. When people volunteer with CASA of Maricopa County, they are finding the opportunity to live out Ayesha Siddiqi’s creed and build a foundation to improve child welfare and inspire the next generation of community leaders. By being the person they needed when they were younger, Donis and Falvey are ensuring a positive outcome for foster children and making an impact that will have a powerful ripple effect throughout their community. 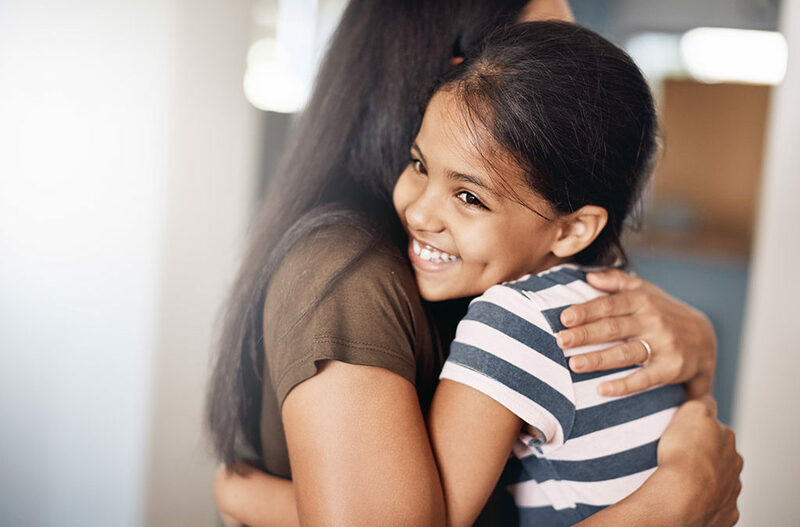 To volunteer with Maricopa County CASA, fill out our online application and begin the path to becoming the person you needed when you were younger for someone who needs you today.